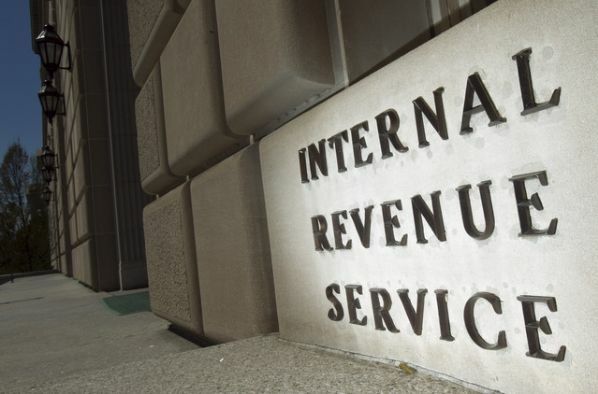 In a role reversal the IRS was the target of scrutiny by tea party groups during a rally in Washington yesterday. Filling the West Lawn from the Capitol Building to the Capitol Reflecting Pool, were thousands of self-identified American patriots. These individuals, fed up with the IRS’s behavior over the past several years targeting conservative groups with names like “tea party” or “patriots”. They gathered for the Audit the IRS Tea Party Rally held in response to the slew of scandals involving improper action by IRS officials and other scandals involving the Obama Administration. The protestors carried signs expressing their frustration and anger with an agency they feel should be dismantled all together. The signs carried a mixture of comical and even off-colored remarks such as: “IRreSponsible”, “No more targeting by the IRS. Time for an overhaul”, “End income tax”, “Internal Rotten Scoundrels”, and “The Constitution Matters”. Flying high were Gadsden Flags (the yellow flags bearing a coiled rattlesnake representing the thirteen colonies and the words “Don’t Tread on Me”) alongside Old Glory herself. The favorite sign of the day was a pitch fork carried by a member of the Richmond Tea Party and signed by patriots from across the country. This gathering may receive no coverage in the evening news. Even if it does, the audience and comments may get mischaracterized. So let’s set the record straight. Congressional members and community leaders showed their support for the rally and even flexed some of their muscle. House Ways and Means Chairman Dave Camp (R-MI) vowed to get answers from the IRS and to hold some folks responsible. Congressman Steve King (R-IA) noted that recent actions show “Big Brother” is even creepier than George Orwell predicted and Rep. Jim Jordan made an observation that had previously escaped me. The IRS’s heightened scrutiny of conservative groups dates back to March 2010, just following the passage of the Affordable Care Act (also known as “ObamaCare”). Outgoing Rep. Michele Bachmann (R-MN) noted her government cred as a former IRS staffer as well. The way she described it –to change the system you have to spend time on the inside getting to understand it- went over like a lead balloon; nevertheless the crowd still loves its Bachmann as it’s champion. Conservative personality Glenn Beck also spoke about religious liberty and the role faith has played in American history. Beck highlighted the life and contributions of Frederick Douglass, the former slave turned abolitionist, several times. He noted a truth Douglass espoused: God did not make men to be masters of men. Interestingly, at the same time, just steps away inside the Capitol Building, a statue of Douglass was being unveiled. Those at the unveiling may have scowled at Beck’s use of Douglass and thought they share little in common with those from the rally, but we can all rally around the core values upon which this nation was founded and the belief that all men should be free and treated equally. Whether one supports or opposes the rally, we should all be supportive of the right of Americans to assemble and freely voice their grievances. 60 years ago the grievance was the government’s discrimination against a race of people. Today, it’s discrimination against philosophical beliefs. Our assembly is not just a constitutional right that we should exercise freely but a demonstration that our democracy works, works well, and needs to be preserved.